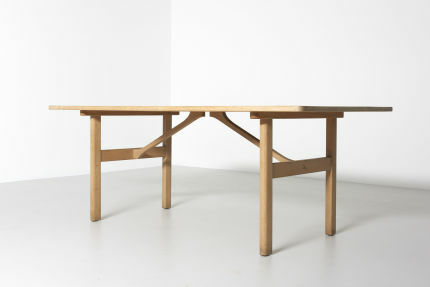 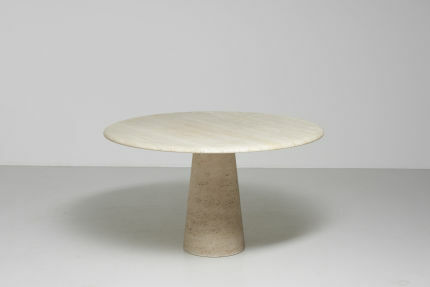 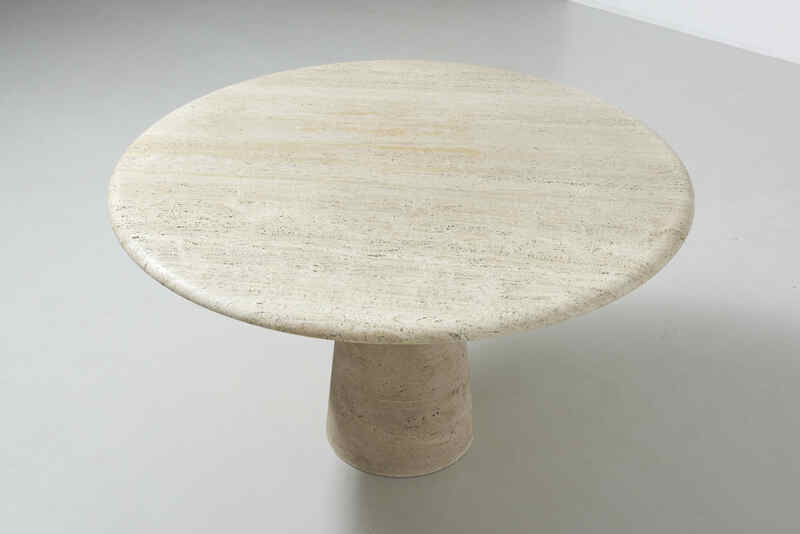 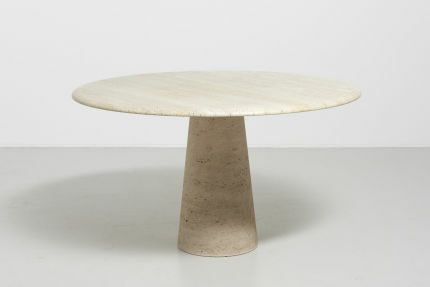 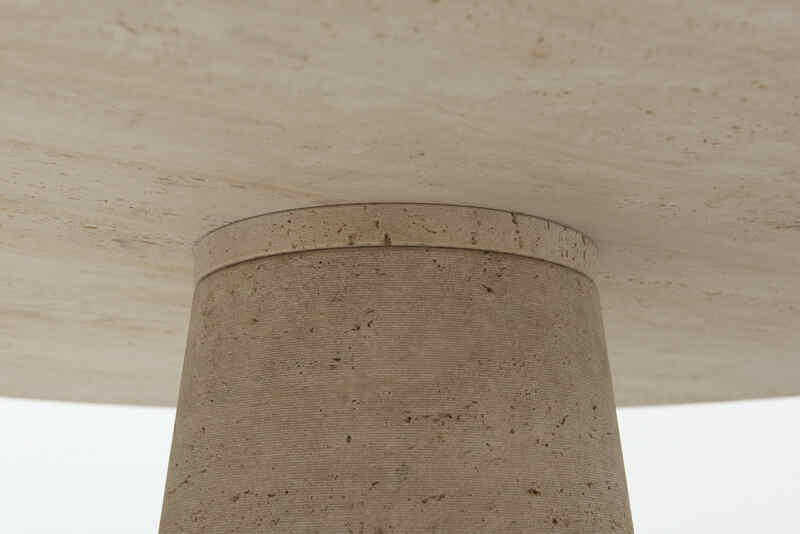 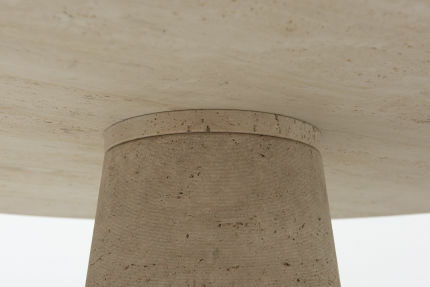 A dining table in travertine with cone base. 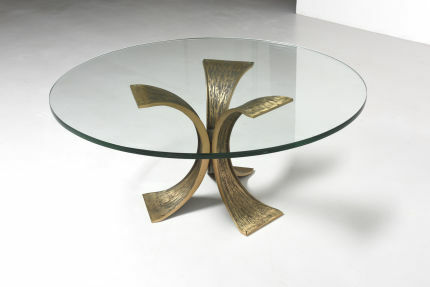 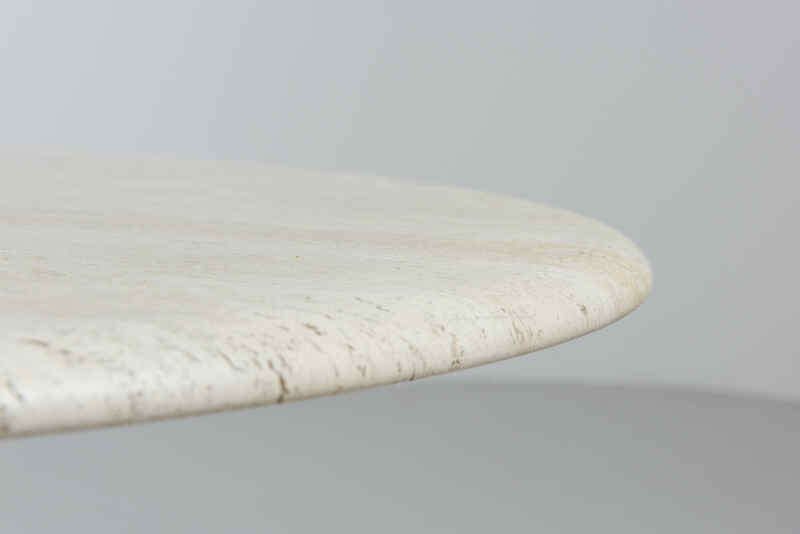 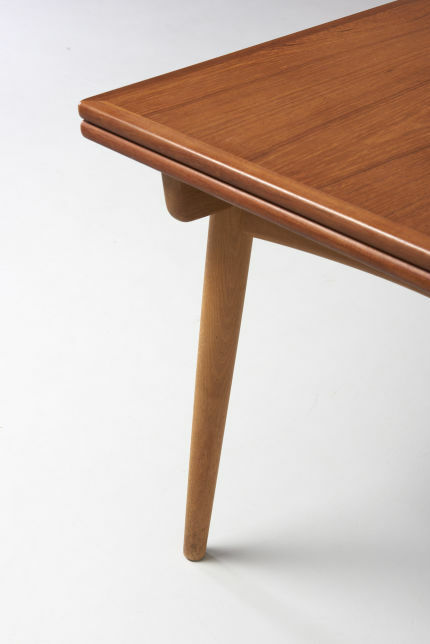 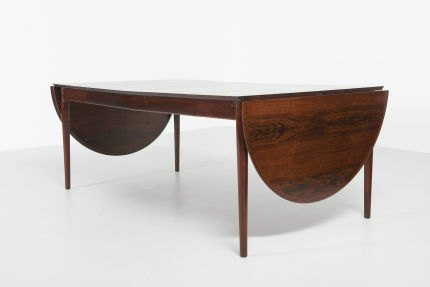 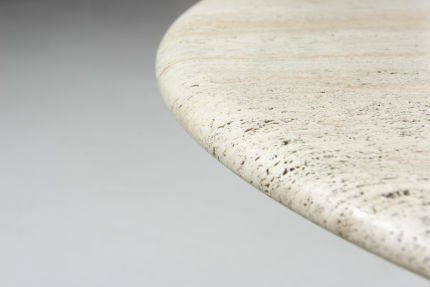 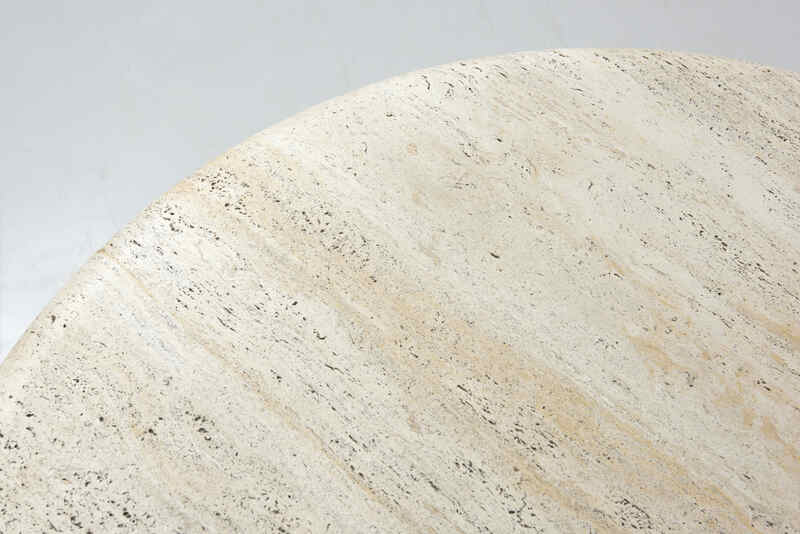 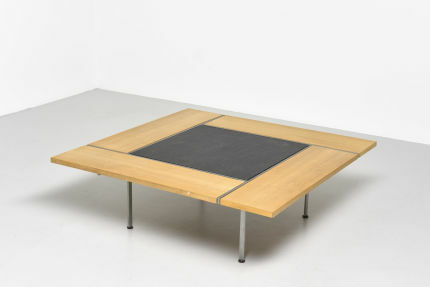 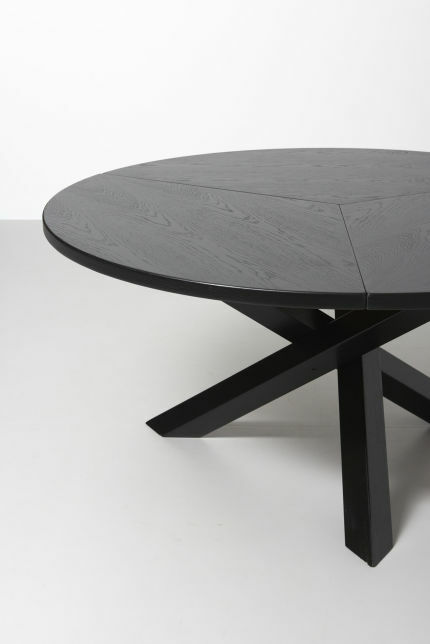 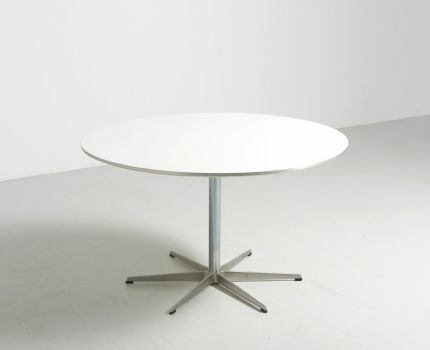 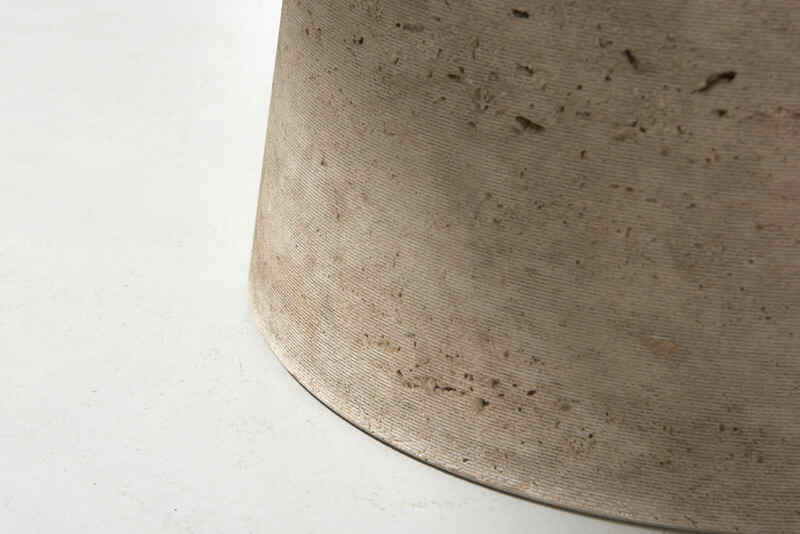 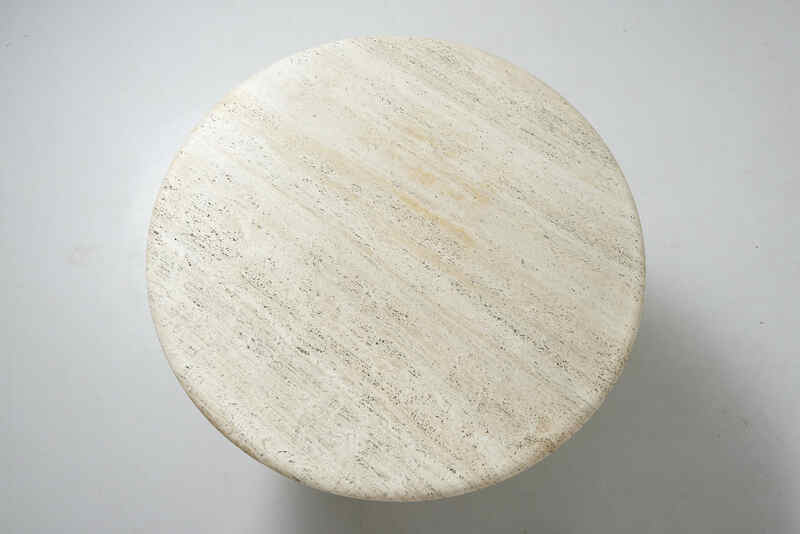 The round table top is made in one piece and features a bullnose edge. 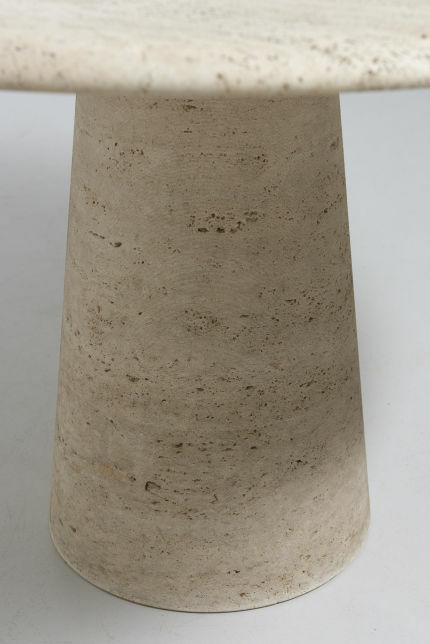 Made in Italy in the 1970s.